Brickside Food & Drink is the premier bar and restaurant in Bethesda, combining high end American bar cuisine with a wide selection of beers and cocktails. 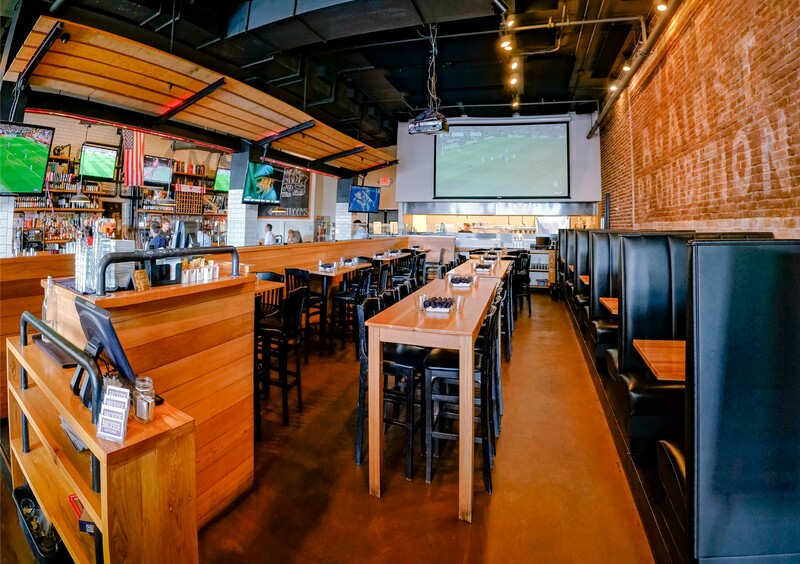 Our open and airy bar and dining room areas offer you eight 50" plasma TVs and a 12' HD projector so you never miss a game or event. Our climate controlled elevated terrace allows you to be outside year round to eat and drink while looking over downtown Bethesda. 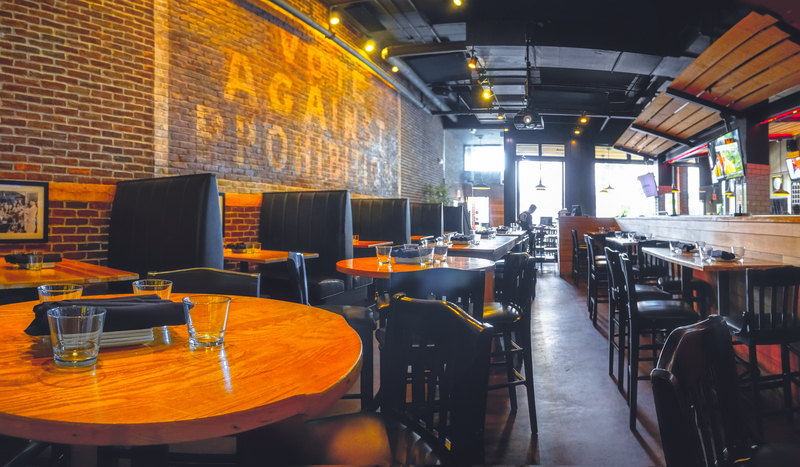 Come enjoy our laid back atmosphere for happy hours, work gatherings, or any other events!